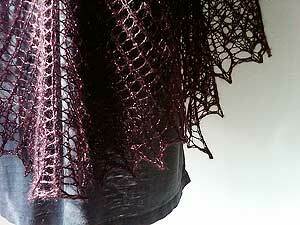 One skein shawl for beaded silk light from Artyarns! More ARTYARNS kits! 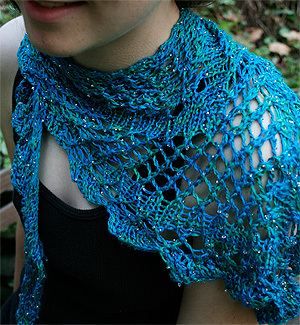 Go wild with all the beautiful fibers available from Artyarns! 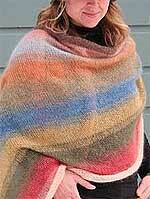 Looking for a fabulous project - join the knitalong with the ARTYARNS Multidirectional Shawl Group on Yahoo!It uses 2 skeins of Artyarns Silk Mohair (regular or with glitter) This fabulous oversized shawl or blanket comes prepacked in 5 fantastic tonal colorways! 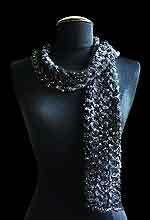 Discounts apply to this item at checkout Signup for the knitlist to receive an extra 5% off. 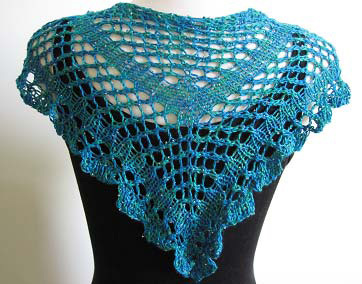 This gorgeous one skein project is a fun knit and is a great neck wrap scarf to accessories or just take the chill of on a summer night. Need Help Ordering? Click to chat or email us.